The unusual name 'Illawalla' features in the title of my second album Songs From the Old Illawalla and a song on the Disturbance album. A recently created Wikipedia page explains the origin from a former Fylde Coast landmark. We even get a reference, the link is here. The 50th anniversary of the first moon landing is coming up this July. I decided to mark the occasion by giving the song a new treatment. This version features a piano based arrangement by Jim Coupe. I'll be performing in 'solo acoustic' mode twice at Lancashire venues this week. Friday night (Aug 5th) is an appearance at Mr.Mel's Music & Poetry night, Silantro in St.Annes. Should be on some time after 9pm. On Saturday it's a trip out to Tottington for a fundraiser. The plan is to turn the gloriously named Hark To Towler venue into and arts cafe, which takes funding. There'll be a host of artists on stage during the whole weekend, my particular slot is from 4pm on Saturday (Aug 6th). Join our mailing list for news of gigs, music and videos. Click the pic to download Geoff's Boots MP3 for free. We all keep souvenirs that connect us immediately with important events, people and places, evoking a certain nostalgia, a warm glow recalling the past. Geoff's Boots is a song about our relationship with such items, cared for amongst our most precious belongings. A pair of old football boots? ... Not just any boots ... The owner believes they were the same pair worn by Football Legend Sir Geoff Hurst in the 1966 World Cup Final, which transforms worn-out old junk into priceless relics ... in the mind of their keeper. Click below to watch the video and Glyn's bid to become the Alan Bennett of rock!. 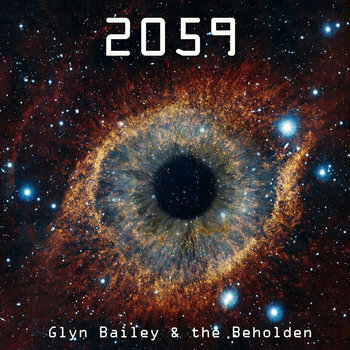 When compared with previous Glyn Bailey albums, it's easy to hear there's been a conscious effort to circumvent the usual 'stylistic' musical approach ... the result is something not so easily pigeonholed. The 'Beholden' band sound is old fashioned yet strangely futuristic in both concept and execution. 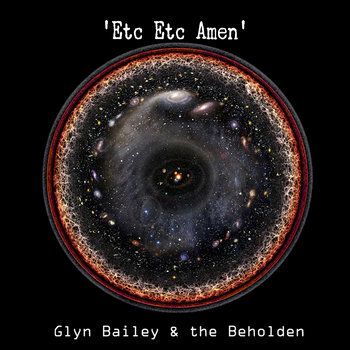 Themes of lost treasure (78rpm), a haunted dancehall (Dancefloor - inspired by the Blackpool Tower Ballroom), the shackles of human existence (Chains), the belief that we are all cosmically connected (Stars), and a version of Slade's 70's glam rock stomper Coz I Luv U combine with others to make this work something very special. The CD version is available exclusively from the artist, with online downloads via Bandcamp, iTunes and all the usual major retailers.